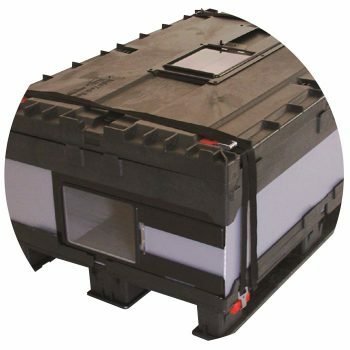 The Light FLOW Box™ is an ideal packaging solution for transporting small to medium-sized bulk goods (e.g. lids, pre-forms, granulates and pellets of all kinds). 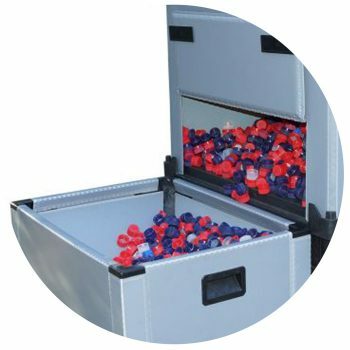 The injection molded lid on the collapsible bulk container is very durable and was specially developed for heavy loads. 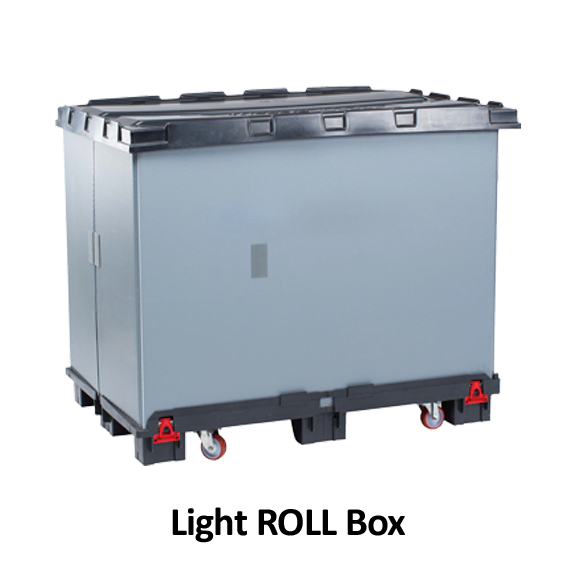 The pallet of the Light FLOW Box™ consists of a single-piece, mold-injected, closed deck. It offers 2 or 4-way clearance. The base can be easily cleaned. 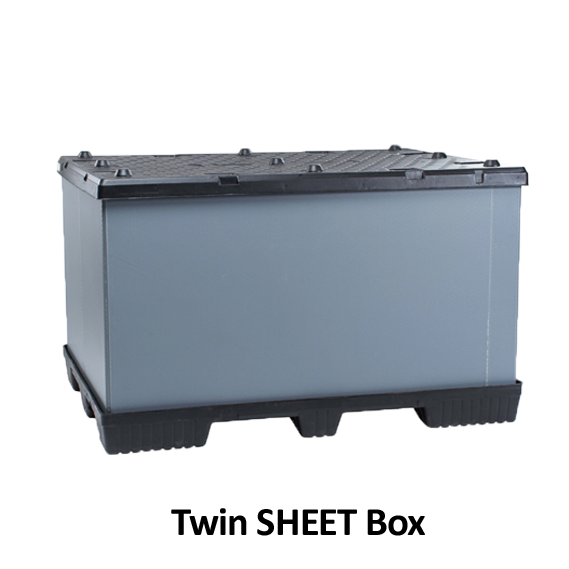 In addition, upon request, we manufacture the base element with a lock and/or lashing straps to further secure the box. Sealing elements can be installed. 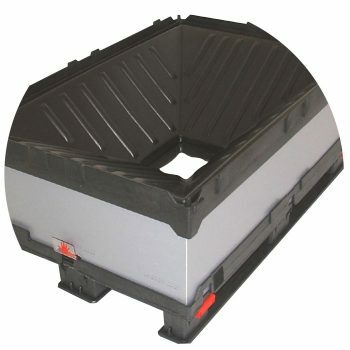 The pallet can be optionally equipped with a funnel or outlet. 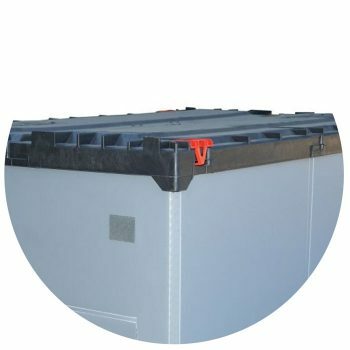 The multi-functional frame made of PP composite material allows the volume reduction of the upper part of the collapsible bulk container. 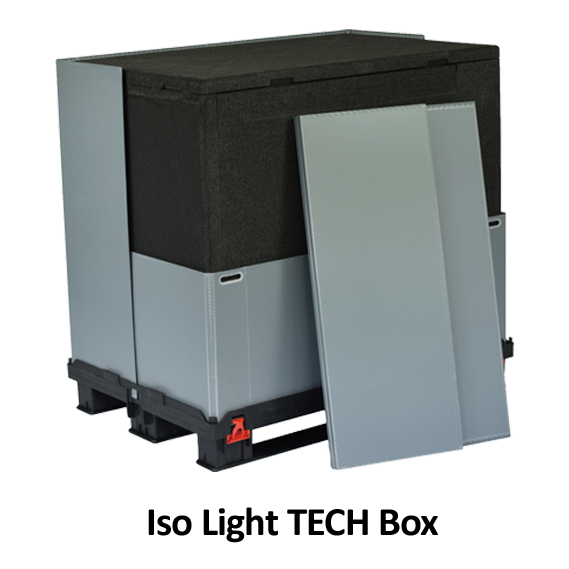 The cover can be securely mounted. 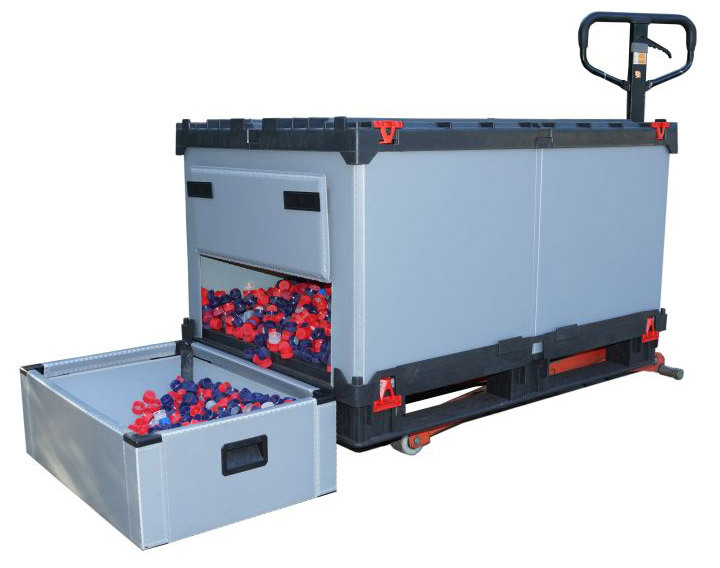 Several pallet containers can be stacked. 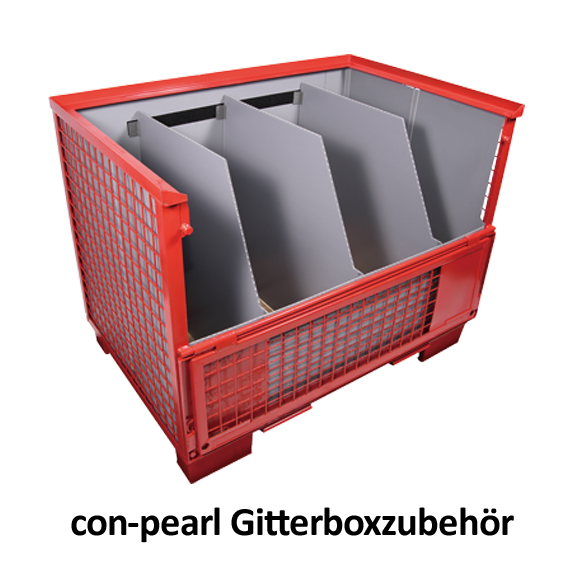 The drain valve on the frame makes it easier to unload the bulk goods. 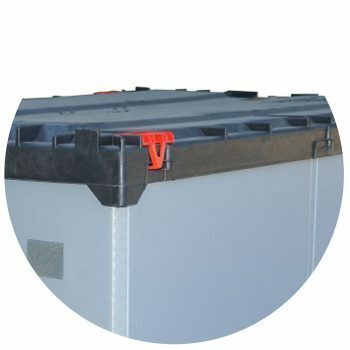 Slide locks are used to open and close the box. 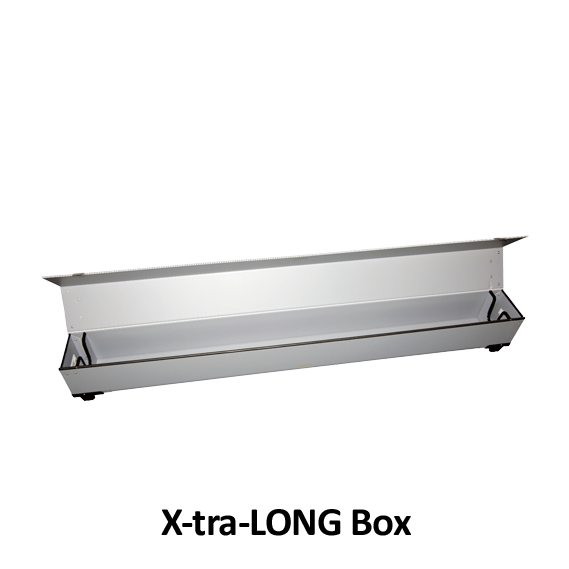 The Light FLOW Box™ can be delivered with three runners or with nine bases. 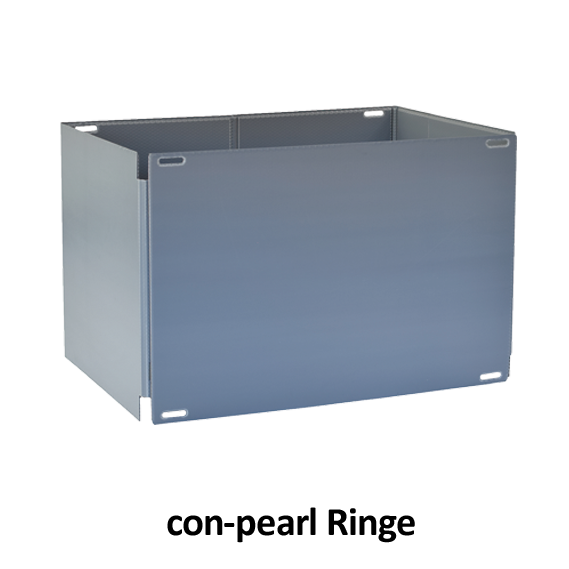 Runners are particularly suitable for rack storage and conveyor systems, bases are recommended for use with smaller forklifts. 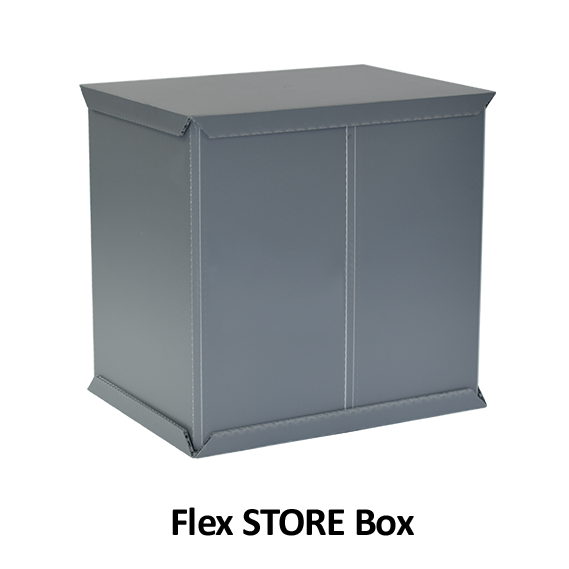 Upon request, we deliver the Light FLOW Box™ with lashing straps made of solid nylon. 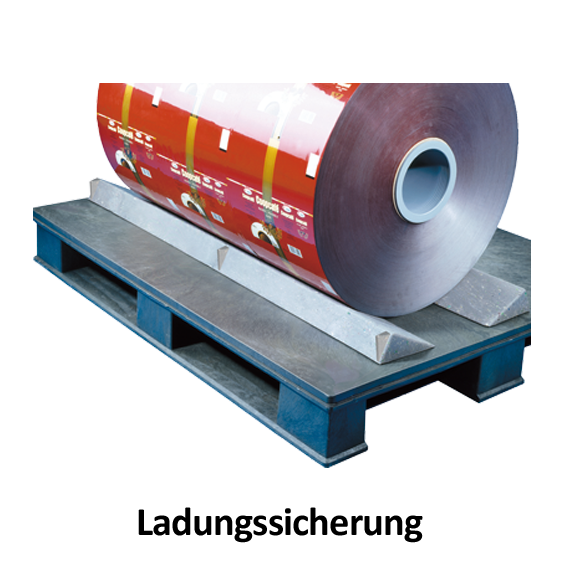 The tension belts allow the goods to be compressed when packed. The use of multi-piece rings and multi-functional frames also possible. 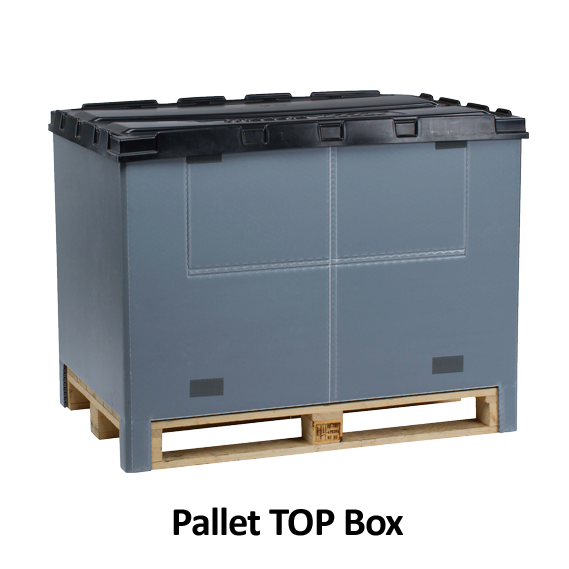 The systems are equipped with a locking mechanism for secure transport in internal and external goods traffic. 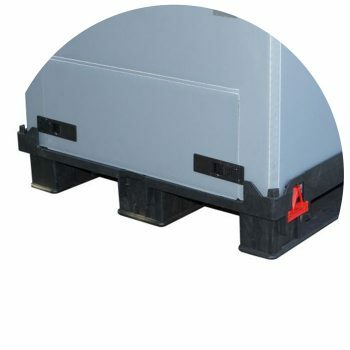 The click brackets on the pallet and cover can be easily opened and closed simply by clicking them. 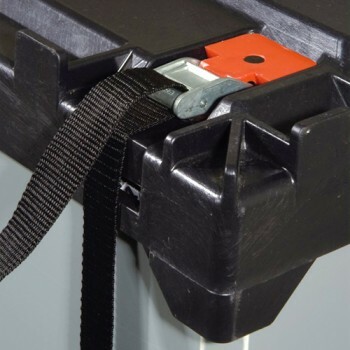 The brackets on the pallets can also be easily opened and closed with safety shoes.